you may find my blog!! Well, I promised to talk about him and Scientology during this Holy Week. Now I’m going to try. Well, first of all, I think that famous actors - famous anybodies - are just folks. And (most) folks are seeking meaning in life. 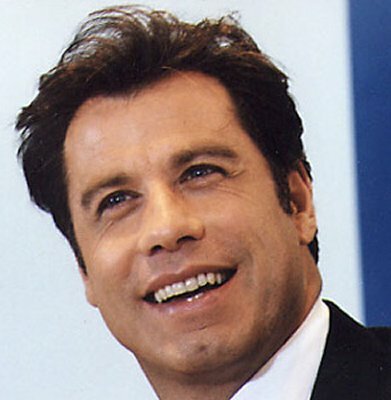 It seems that Travolta was introduced to Scientology way back in 1975. And that was a time he was looking for answers. He was given the L. Ron Hubbard book, DIANETICS. When I did a search to find out about the unusual aspects of the Church of Scientology I came across embarrassments: websites debunking the church by using ridicule, sarcasm, and just general disdain for any and all folks who are members. Hubbard tried to offer them. I don't know if he was well-meaning or not. I do believe he was wrong. And I believe (know) this: Hubbard's church started around the year I was born.... so it is young, right? Ha. --- Well, for a religious movement it is infantile. What were Hubbard's claims? ---- besides the fact that he was false about his military career ... and his medical career. ??? Oh, well, he started out as a self-help guru. ... and he wrote a popular, intriguing book. I don't have a disdain for John Travolta - and Tom Cruise - and Kirstie Alley and other Scientologists for their beliefs. They were (are) searching for meaning in life. I have a disdain for Hubbard (even I have this right) .... and I think these folks - these Scientologists - need to seek for TRUTH outside of Hubbard. The person of Jesus Christ was written about by many, many folks - believers, nonbelievers, historians, etc., from over two thousand years ago, till the present. Who verified L. Ronald Hubbard... and his 'auditing' system? I think what is true is that God did some topsy-turvy stuff (in humans' view) by having his son be born in a lowly stable .... and then be executed as a common criminal. Whoa. Who would have thought of that?? Oh, and then he came alive again... to save us from our sins, give us eternal life... and well, be the boss of our lives. Easter is all about that. What a relief.... to have a SAVIOR!! Well, that may not have been the best post I could have written on the subject. But do your own research. "GOD CANNOT POSSIBLY BE A FIGMENT OF MY IMAGINATION, FOR GOD IS NOTHING LIKE I IMAGINED HIM TO BE.'" I think that is PROFOUND ... and LIFE CHANGING... if seriously considered. I liked the gentle way you handled this topic. Very nice. We are all just folks looking for meaning and purpose. I'm glad I've found that in Jesus. Yes, I am always looking for my purpose in life, like so many others, Loved it, Nancy!!! Thanks. Excellant post...you leave it to us to research....with only a few hints. I remember reading Hubbard's book back in the 70's. It didn't do anything for me. I saw it as another philosophy. John 3:16-17 really says it all.